Covers putting, chipping and the full swing. Recommended for beginner or new golfers looking to learn or improve on the fundamentals of the game. All instructors are CPGA certified! Week One: Proper grip, posture, aim and basic swing motion. Week Two: Proper path of swing and impact position. Week Three: Chipping and Putting. Week Four: Swing review / Hitting the Driver. 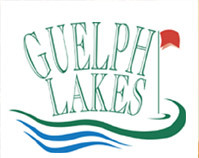 please call the Guelph Lakes ProShop at (519) 822-4222.